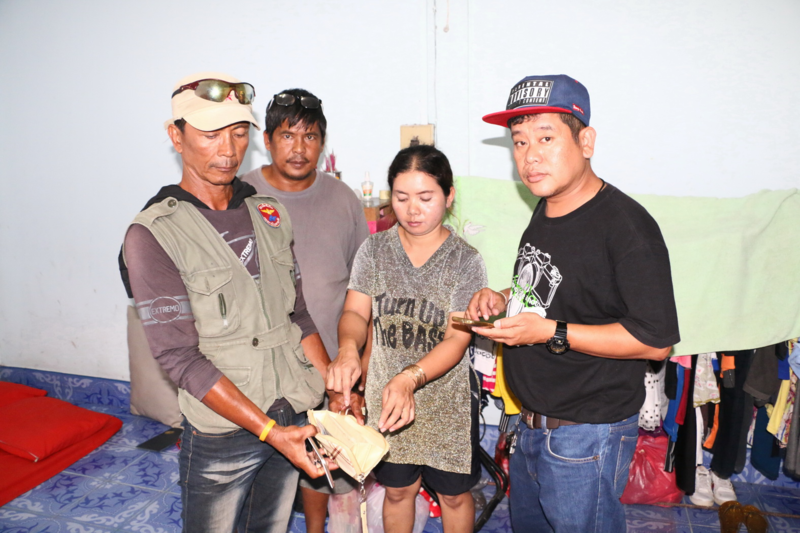 SATTAHIP:--A jilted Sattahip woman called the cops on her alcoholic husband after he took all her gold and dumped her. Cambodia native Tieree Part, 38, told police she had been married to a Thai man named Song, 54, for five years. She worked as a vegetable seller and he furniture maker. But he is a drunk, she told police, and after a recent fight he left her, taking her three gold necklaces, a gold ring, a pair of 3-baht-weight gold earrings, 10,000 baht cash and her mobile phone. She said she called her spouse, asking him to return her savings, but he refused. So she went to police to file a theft report. Please shoot him for me! Yes. Bow down before the one you serve. Good Boi. Where did she get all that gold? That will be her life savings. What concern is it if anyone apart from her? If the husband had given it to her the headline might be doing him a disservice. If another man had given it to her, it might explain his actions? How? It would then be hers, not his, and he would still be the one allegedly doing the disservice. And still no concern of anyone except her and certainly no one on Thaivisa!.